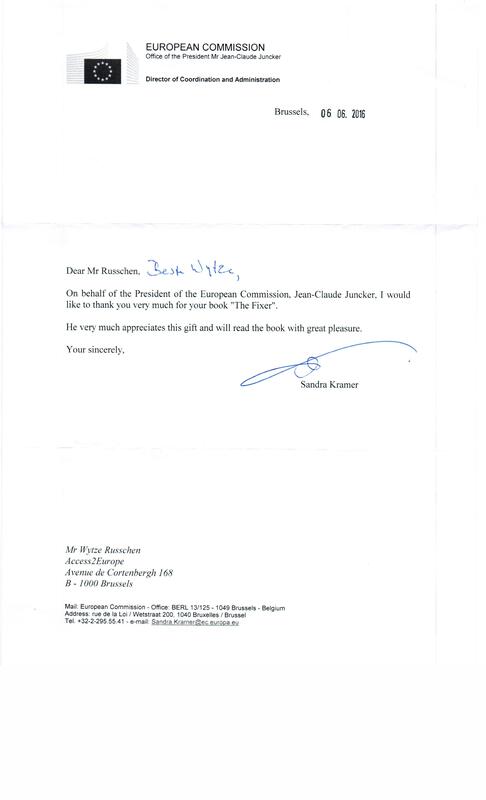 And the book is about the EU: the most loathed Institution on the European Continent, though it’s not actually an Institution but rather a Political Platform, an Eternal « Vienna Congress » and that’s what the careful reader should notice, if (s)he wants to learn something. Because besides the numerous casual encounters with « Those In Charge » on formal but very much also less formal occasions, one should notice that everything politically really relevant happens outside « The Institution », in what are called « Informal Council meetings » and similar working groups of all sorts, spiced up with the unavoidable connected social events. It is here that Wytze found His Calling and managed to call the shots for over a decade, until unfortunate events forced him to scale down a bit. Written with wit, the book offers a humoristic insight in the Brussels Machinery; bringing everything down to the human scale. It doesn’t pretend to give a deep technical analysis of proceedings and « do and don’ts’ », as most books on topic do. Neither did the book come launched with a big campaign of just another supposed long-term insider « who will spill all the beans ». Yet, it contains far more insight than those serious books which pretend to do so, and already just for that reason it is highly recommended. « Adviser, spokesman, bodyguard, bulldozer! Wytze Russchen dissects the good, the bad and the incredibly strange characters at the heart of the EU’s most powerful institutions. Raw, funny, intensely personal, opinionated and always politically incorrect. Russchen is an immensely colourful character in a sea of grey suits, stripping away the rhetoric and exposing reality.